The James Blond Supercity Rangers departed Porirua after the NBL Pre Season Tournament reasonably contented. Two comfortable victories on Saturday against Hawkes Bay Hawks 94-71 and Manawatu Jets 117-71 was followed by a defeat at the hands of Southland Sharks on Sunday, 123-98. Head coach Jeff Green was absent from the Sunday game due to business commitments but was content with the performance of his charges, “We were very good on Saturday” enthused Green. “Everyone understood the principles we have been putting in place and it was advantageous to put them into practice in a live game rather than in scrimmage situations amongst ourselves.”Experienced forward Dillon Boucher was heartened by the weekend’s showings. “The performances were encouraging but we are not getting ahead of ourselves as both the Hawks and Manawatu were understrength, lacking some of their starters”. Boucher added, “Tiredness kicked in a little on day two. When you play an up-tempo style, pressing all game, three games in 24 hours becomes a factor. Credit to the Sharks though, they had the ability to break down our pressure defence”. The Rangers expect to have Reuben Te Rangi on court when they resume training on Wednesday. The Rangers open their 2015 Bartercard NBL campaign on Good Friday, April 3rd when they entertain the Nelson Giants who are likely to include the evergreen Phill Jones in their lineup. 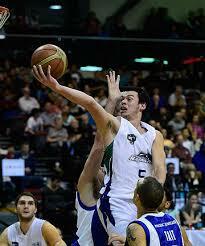 The game will be played at Otara Recreation Centre, 7.00pm tip-off. The Supercity Rangers have announced that their import pairing for the 2015 Bartercard National Basketball League will be Jason Cadee and Tom Garlepp.